This day can get a little messy but it's a lot of fun. Unfortunately, I'm nowhere near a campsite, so I had to make some alternatives for a s'more. 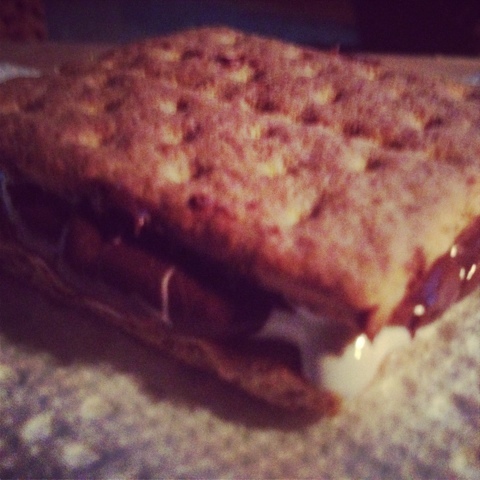 I used Fluff for the marshmallows and Nutella for the chocolate. End result, absolutely delicious.